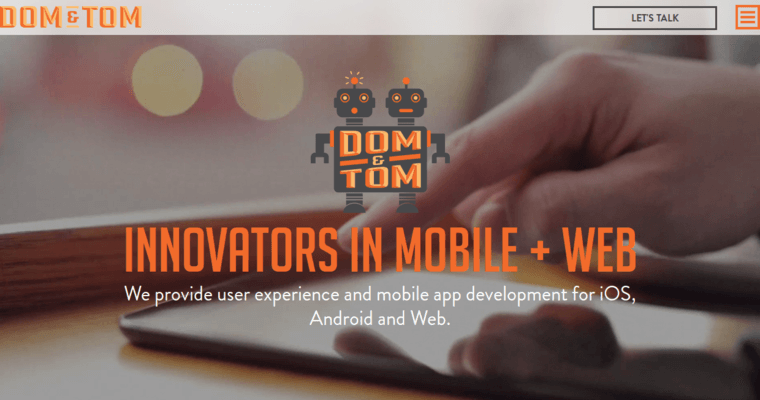 Before you discover how development studio Dom and Tom has managed global recognition, you should first ask yourself this: Would you argue with a company that regularly assists Fortune 500 companies? What if this company could help your own enterprise reach that Fortune 500 list one day? 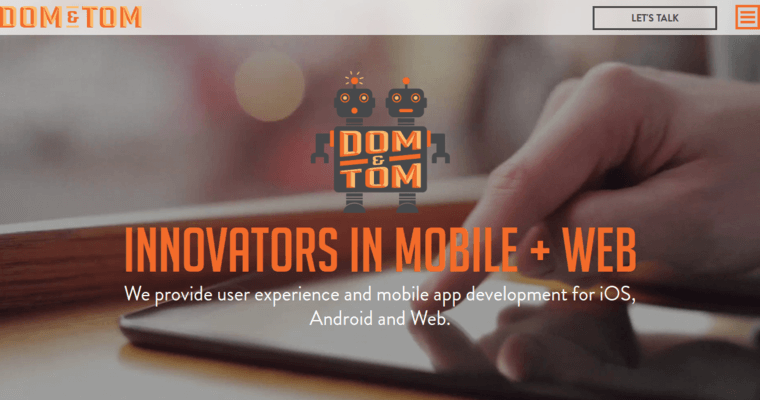 That's what Dom and Tom is known for, and their utilitarian approach mixed with inarguable style gets the hard work done so you can kick back on the heels of success on the Internet. One of the most prolific points of talent that this team has to offer is mobile web development. While they're bar-none at all forms of web- and app-based construction, design and improvement, they're even more exceptional at extending your effective outreach in the mobile market. Need a line of script that plays nicely with iPhone and Android devices alike? Look no further than Dom and Tom: the globally acclaimed software studio.